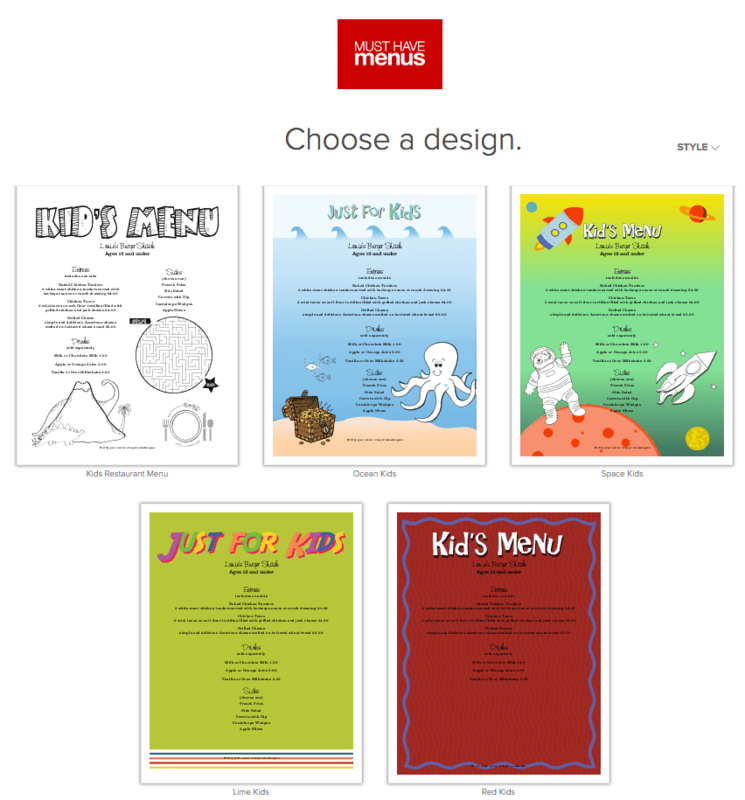 Begin a Kids menu here. 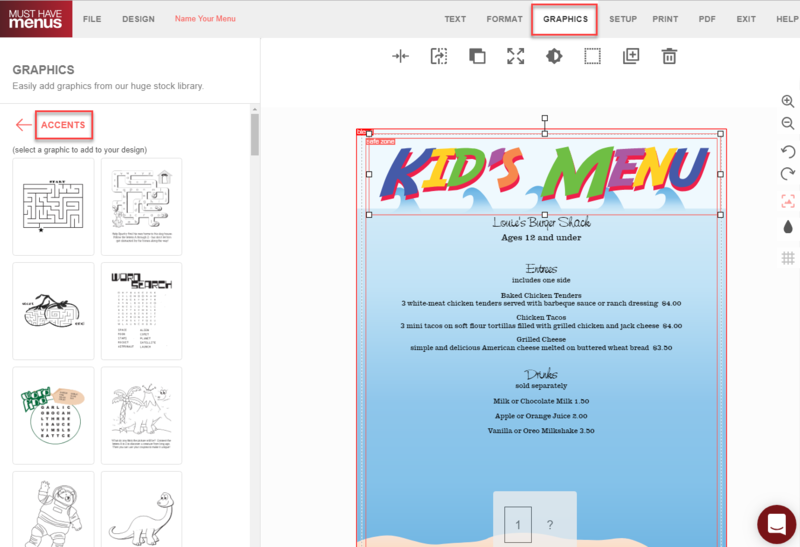 The menu will open with the default Kids menu template. Kids menus are available in our standard sizes 8.5x11, 8.5x14, 11x17, and International A4 (in portrait and landscape orientation). To select a different paper size, click the Design tab in the upper left corner, then Size / Type. To select a different template, click the Design tab in the upper left corner. After entering your menu content, add some fun graphics from our library of puzzles, games, coloring images, and more. To access, click the Graphics tab then Accents. Continue to customize your menu by adjusting fonts and changing layout. Kids menus print on 60 lb offset.